Nearly 100 delegates attended a seminar organised by Wessex Fire & Security to inform them of developments in the fire sector to take the initiative on fire risk. Last year’s tragic events in London at Grenfell Tower have focused the attention on the risks of fire and how they can be reduced. An event this month was organised by the Dorset-based business – Wessex Fire and Security and part of the Wessex Group – in conjunction with Honeywell Gent. It was held at AFC Bournemouth’s Vitality Stadium, where Wessex Fire & Security recently installed additions to its fire protection system. Among those attending included professionals from a number of fire brigades, and those with responsibility for fire systems as well as business leaders. 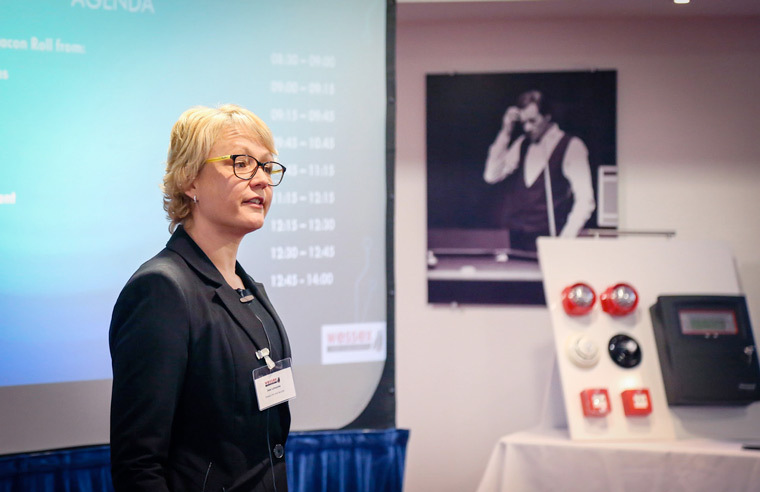 Delegates heard experts speak about recent changes to the British Standards for fire alarms; how to best choose a fire detector for a particular job; how to reduce the number of false alarms and also, an introduction to a new alarm management system. Jess Lutwyche, managing director of Wessex Fire & Security, which is based in Shaftesbury, said the interest had surpassed expectations. She said, “Though we are based in Shaftesbury where the Wessex Group was founded more than 50 years ago we work across the south. The AFC Bournemouth stadium was a great venue and geographically convenient for our delegates of whom we had a great number, which reflects the general interest in fire safety. “As well as talks from our own staff and those from our seminar partner Honeywell Gent there was a lively question and answer session.